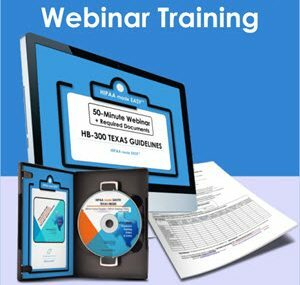 This NEW HIPAA TEXAS HB 300 TRAINING PACKAGE will fulfill your obligations for 2017-2019, as Texas HB 300 recertification is mandatory every biennium for all healthcare workers in the State of Texas. Texas Healthcare Providers must comply with more specific policies & procedures, regarding HIPAA Privacy Practices. 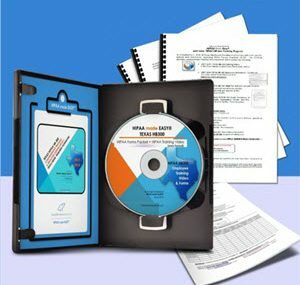 Get educated & certified at this 50-minute GROUP webinar. Training includes all forms (download & print.) We fill-them-in at the webinar.